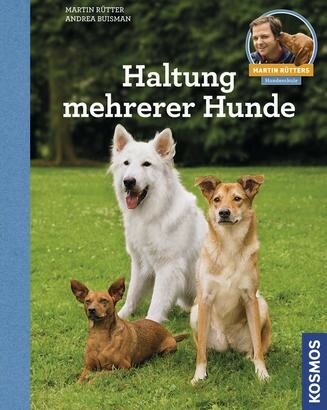 Product information "Haltung mehrerer Hunde"
Why there is always conflict between Digby the Dachshund and Bonnie the Beagle? There are many reasons why living with multiple dogs can be challenging. Martin Rütter and Andrea Buisman provide help for the selection and integration of appropriate pack-partners and explain the most important rules of living harmoniously with a pack of two, three or more dogs. Andrea Buisman is a breeder and dog trainer. At DOGs she handles the training of coaches and support for dog training schools.